New for 2015 is the A700-MM2 - Motor Mount 2. 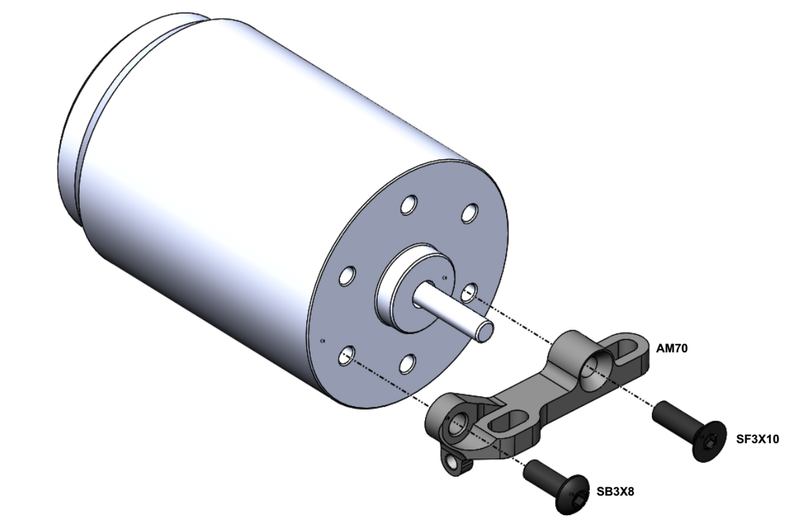 The motor mount allows for four different modes of motor mount flex and improves the method for setting motor gear mesh. Or as an upgrade to existing Awesomatix cars. Requires the AM01-1 Gear Box included within every kit except for the original A700. 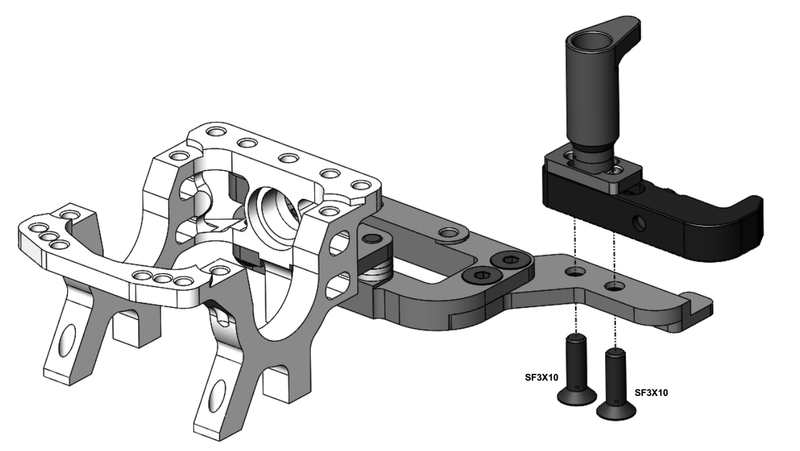 Various degrees of motor mount flex are offered via MM2 with prior generations of chassis (details below). Note - It is recommended to use Blue Loctite on all screws going into the motor mount to ensure the assembled unit does not come loose. 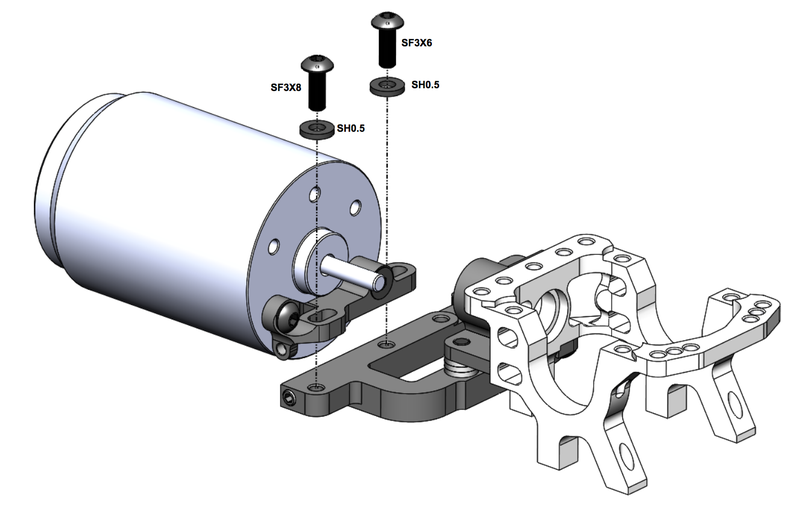 Start by securing the AM70 to your 540 size motor. The plate using one SB3x8 and one SF3x8 [as seen in Diagram 3]. You can choose to not use loctite on this part. 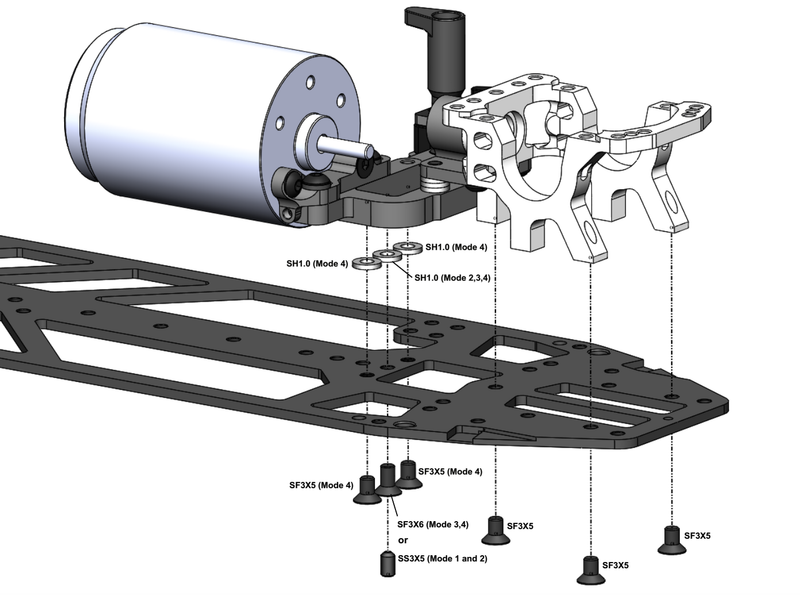 Now secure the AM70 + Motor assembly to the AM73-1 plate already mounted on the chassis. 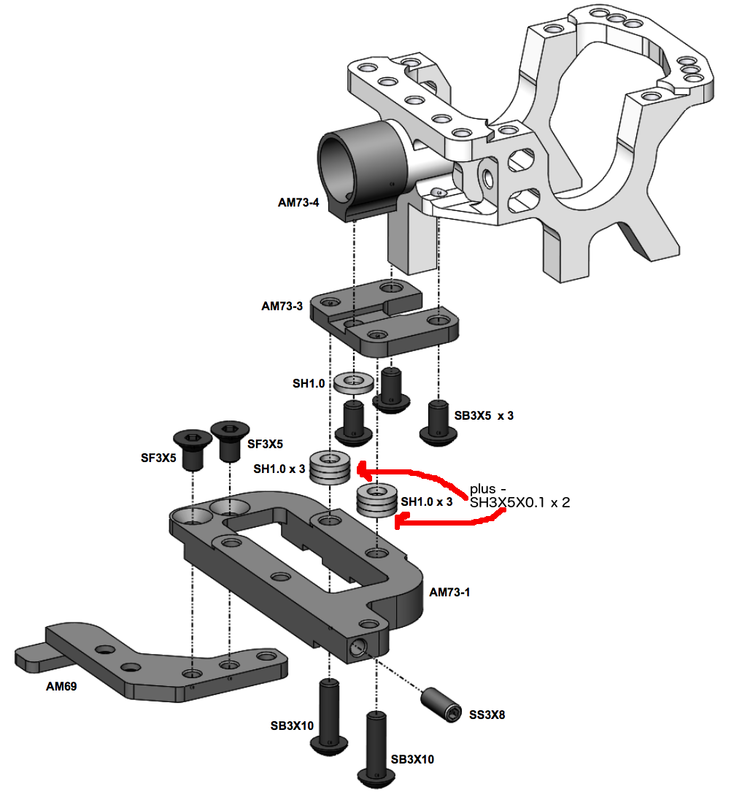 Use one 1mm shim per SB3x8 screw [as seen in Diagram 4]. Loctite recommended. The AM70 will cover the SS3x8 installed within the AM73-1. You can use the set screw to make fine gear mesh adjustments.